Scott Porter and his wife Kelsey just welcomed their second child and are now sharing her sweet name! The 38-year-old former Hart of Dixie and Friday Night Lights actor took to Instagram to reveal their baby girl is named Clover Ash Porter! “Hello, World!!! My name is Clover Ash Porter. I’m 9.3 lbs, 20 1/2 Inches, and have a 37.5 CM Head,” Scott wrote. He even included a beautiful photo of baby Clover! We’re so glad to hear Clover is out of NICU and with her family. Congratulations! 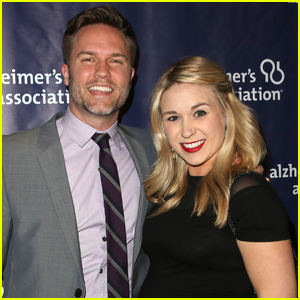 Scott Porter and his wife Kelsey are parents for the second time! 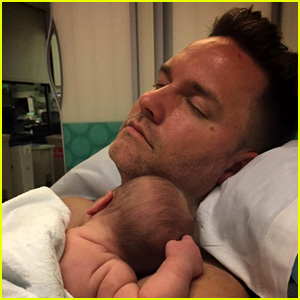 The 38-year-old former Hart of Dixie and Friday Night Lights actor welcomed his newborn daughter into the world on Thursday night (August 10). Scott took to Instagram to share a photo of him holding his daughter in a hospital bed. “Sweet Dreams, world,” he captioned the super sweet pic. Scott and Kelsey are also the parents of a two-year-old boy named McCoy. 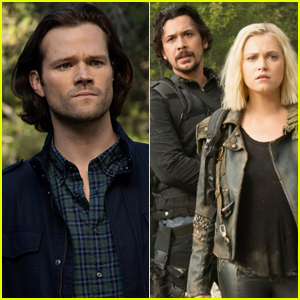 It seems the birth of their daughter was planned as they snapped a family photo for the last time before heading to the hospital. “Spent our last day as a family of three at an amazing park with a picnic and a waterfall and with a love that will never change for our little boy,” Scott captioned the cute family pic. 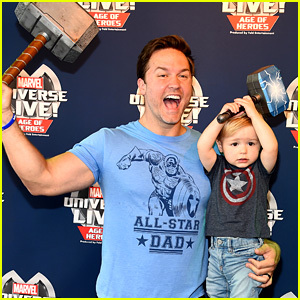 It doesn’t get much cuter than Scott Porter and his two-year-old son McCoy getting ready for hammer time with their Thor props at the Marvel Universe LIVE! Age of Heroes world premiere on Saturday (July 8) at the Staples Center in Los Angeles. 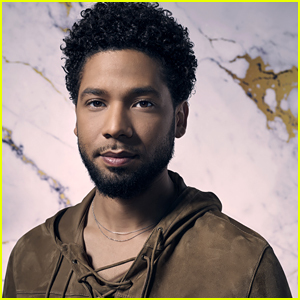 The 37-year-old former Friday Night Lights and Hart of Dixie actor was also joined at the event by his pregnant wife Kelsey. “We are worthy!!! #Mjolnir #MarvelUniverseLive,” Scott captioned a similar photo on Instagram. Also stepping out at the event with their kids were Nick Lachey, Jamie-Lynn Sigler and Cutter Dykstra, Gilles Marini, and Haylie Duff. The production partnered with Got Your 6, a military veteran non-profit group dedicated to empowering veterans to lead and build stronger communities across America. 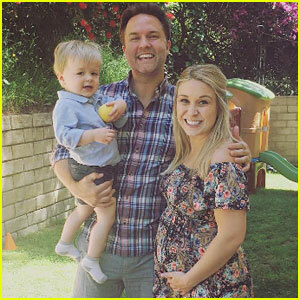 Scott Porter and his wife Kelsey are expecting their second child! The 37-year-old former Hart of Dixie and Friday Night Lights actor announced the happy news by sharing a photo of his family on Easter. “Happy Easter from our growing family,” he captioned the photo, which features Kelsey cradling her baby bump. She shared the same photo and caption on her own account. Scott and Kelsey have been together since 2008 and they got married in 2013. They are the parents to a son named McCoy, who will turn two next month. Happy Easter from our growing family. Jaime King made sure to have a “MAGICAL” experience with her adorable family while attending the From Coraline to Kubo: A Magical LAIKA Experience, a unique interactive event at Universal Studios Hollywood! The Hart of Dixie actress was in wonderful spirits with husband Kyle Newman and their son James Knight, 3, at the event on Wednesday (December 20) where guests got an up-close look at the artistic detail and imagination behind acclaimed animation studio LAIKA and its groundbreaking 10-year filmmaking history. Also in attendance was Jaime‘s Hart of Dixie co-star Scott Porter, Ali Landry and her husband Alejandro Gómez Monteverde, as well as pregnant Tori Spelling, her husband Dean McDermott and their four kids – Liam, 9, Stella, 8, Hattie, 5 and Finn, 4. FYI: Jaime is wearing a Tory Burch sweater.